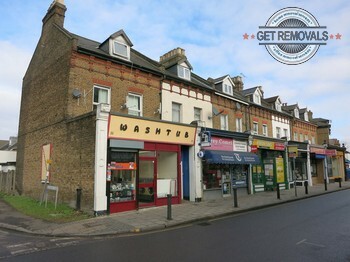 Don’t let your property removal get the better of you as there is simply no need to waste effort, time and resources when you can have us deal with the situation effectively in the most efficient and affordable fashion. We are a professional moving company with many years of experience under our belt. As such we believe to provide the best removals in Berrylands. During this time we have become the true experts of domestic removals, office removals, business removals, piano and furniture removals, and all else you can throw at us. We also offer our customers additional yet important services like professional packing or delivery of packing materials. Waste collection is an inseparable part of most relocations, this is why our junk and rubbish removals will come in quite handy. If you think our efficient and versatile moving services will cost you a pretty penny – think again. We ensure affordability and cost efficiency of our removals through providing private and business customers with free, no obligation quotes, customised pricing and midweek discounts on all removal services. 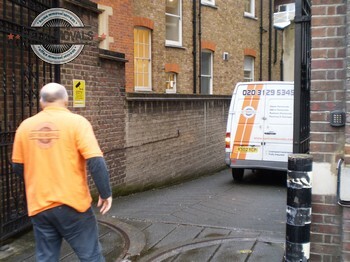 We have nationwide coverage on deliveries and do pickups from all areas in and around London. Our experienced drivers and very skillful licensed movers in Berrylands are going to make sure that every single detail of your project is covered with professionalism and care. We will manage all stages of the relocation job via our 24/7 call centre. Count on our helpful experts for free moving tips around the clock and all the information you need too. Full Goods in Transit Insurance is added to the quote for every service for extra peace of mind. We have more than sufficient transportation means in the form of specially equipped cargo vehicles of different size and load capacity. All vans are cleaned thoroughly after every job and stocked with enough removal blankets. Vans also have GPS navigation and the necessary latching and hoisting equipment for loading and securing of heavy items. When it comes to top grade removals in Berrylands we are the people you need, just let us know what you need moved and where you want it delivered – leave the rest to us. KT5 Berrylands is one of the many comfortable residential areas in the London Borough of Kingston upon Thames. It lies some ten kilometers to the southwest of Charing Cross and enjoys some pretty comfortable transport links to the central parts of the capital. Do not hesitate to go out and explore some of the interesting landmarks in Berrylands on your first days there. As one gathers, the district owes its name to a region where berries grow which is also the exact etymology of this place-name. Berrylands was first an Anglo-Saxon settlement. The actual urbanisation and development of the district began after the arrival of the railways. Most of the housing stock present in Berrylands dates back to the nineteen thirties when the area saw an increase in urbanisation as well as population. There is also a district of art deco housing which stands out amongst the interwar period structures lining most streets and roads. Currently, there are four separate clusters of commerce in Berrylands. These are Alexandra Drive, Berrylands Rd, Chiltern Drive and Surbiton Hill Park.